This year’s conference city is easily accessible. Louis Armstrong New Orleans International Airport has more than 100 daily flights and is no more than five hours’ travel time from either U.S. coast. Remember: Booking early will ensure a better rate. We suggest that if your company has a corporate travel program, you use it to book your flight. Once you land, you still have a ways to go before you reach the Sheraton. The best option (and the cheapest), is to use the Sheraton’s designated shuttle service. 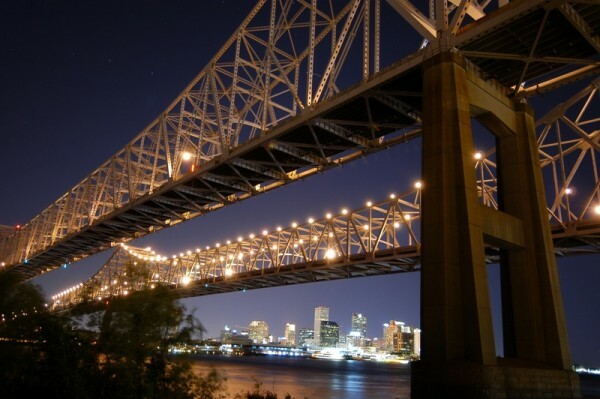 You may reserve a shared ride service between the Sheraton New Orleans Hotel and Louis Armstrong International Airport through New Orleans Airport Shuttle. Rates are $20 per person one way or $38 per person round-trip. Call 504-522-3500 for information or make reservations online at least 24 hours prior to your flight departure time. Also, taxis are available outside of baggage claim; the average fare to the hotel is $28. If you choose to rent a car, be advised that the hotel’s overnight parking rate is $33 plus tax. There are several parking lots near the hotel with cheaper rates. But because of the street car and pedestrian ease of the area, we recommend against booking a rental during the conference. For more ground transportation options, visit the Louis Armstrong International website. The New Orleans Regional Transit Authority is the city’s public transportation system. The standard fare is $1.25, with 25 cents for transfers on both buses and street cars. You can purchase a one-day Jazzy Pass for $3 from the bus driver. A three-day pass for $9 also is available. The historic St. Charles streetcar, which is covered by the Jazzy Pass. Plan your trip in advance by date and time and find a map and schedule by visiting the NORTA website.